Jack fans rejoice. The epic animated tale of Samurai Jack is returning on Toonami in February! Coming straight from Toonami themselves, is the announcement that Samurai Jack will be returning to television on Toonami. Episodes will begin in February of 2014 according to the recent announcement. From what fans can tell, Toonami will most likely be showing the old episodes in the series. That’s great though, seeing as a younger audience can now experience the show for the first time, every Saturday on Adult Swim. The world of Samurai Jack has everything a kid could want in a cartoon show (and is personally one of my favorite shows from my childhood). Action packed battles, comedy, and a story that keeps you coming back for more each week. I honestly do not know a person who dislikes Samurai Jack. Heck, even my dad, who disliked most of the cartoons I watched as a kid would sit down to watch a couple episodes every now and then. 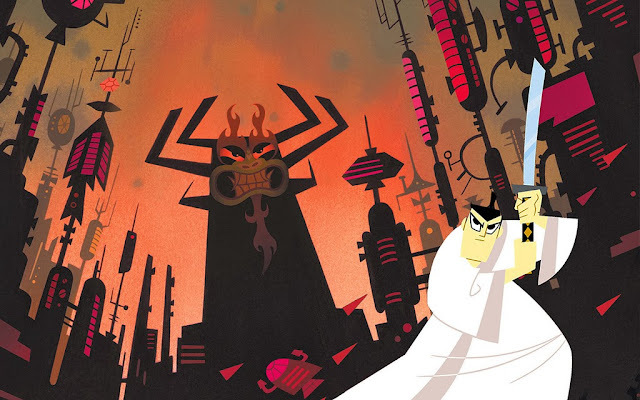 Most die-hard fans of the series might not call this Samurai Jack’s first return though. Back in October of this year, a comic series was created that continued where the show left off. The comic series was written by Jim Zub and illustrated by the original character designer Andy Suriano. That’s great and all, but like comparing a film to its original book, it just isn’t the same. The creator of the highly acclaimed epic, Genndy Tartakovsky has yet to comment on whether or not the show will continue with new episodes in the future. We can only hope that this comes true, seeing as the show never really ended. 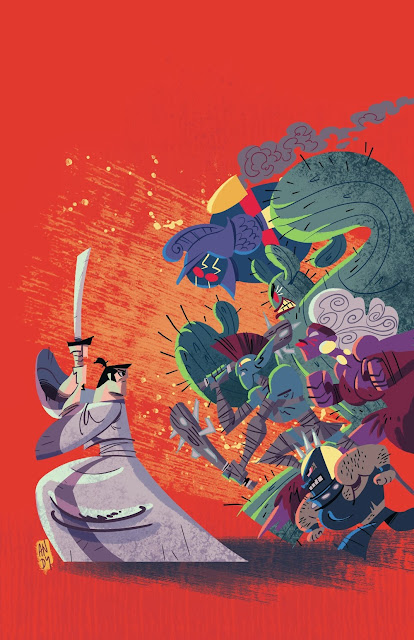 Even if fans don’t get more episodes, they should at least give the Samurai Jack comic series a shot. Adult Swim and Toonami are getting better with each passing month though. Toonami revealed that Space Dandy would have its first world premiere on the shows block, and Adult Swim also blew everyone’s mind with their announcement. That announcement being The Boondocks’ return with season 4 (don’t know about that? Click here). Now Toonami are bringing back childhood memories with Samurai Jack. I couldn’t be any happier right now. We’ll keep you all updated if we hear anymore information. Stay tuned to JM for more on the Toonami lineup and more!